Hello!! Greetings from KY, where we are in a “state of emergency” for a little snow. Here in Kentucky, we are currently experiencing what they like to call a “snow storm”. And when I say “snow storm”, I mean we got a foot (maybe). Growing up, I lived in Minnesota until I was 10 and then moved to Illinois. So as far as I am concerned, this is just your average winter day. It is quite comical seeing people here freak over snow but I mean I freak over 80 degree weather so I get it. But hey, we got two days off of school sooo I ain’t complaining! 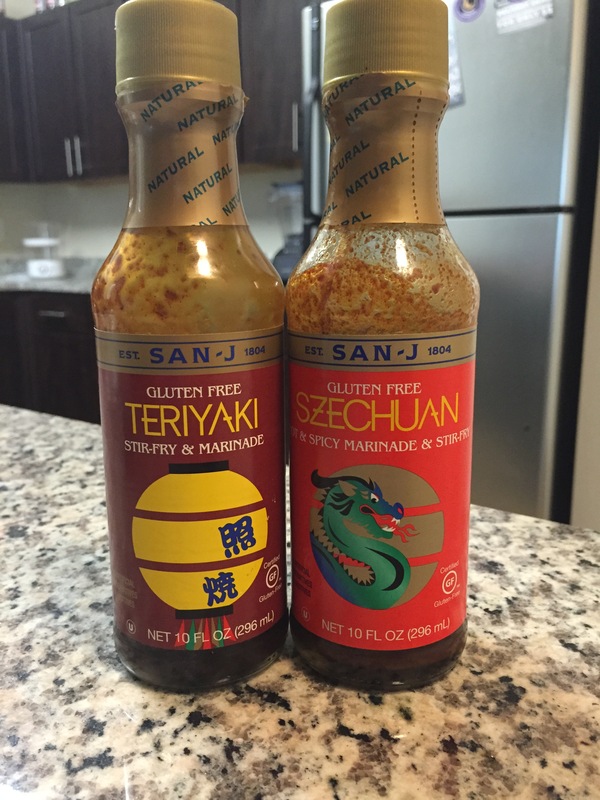 ^^^These are the two I used… Lots of Teriyaki and just a splash of the Szechuan because it is VERY spicy. One time, I used it as a main sauce and burned my tongue for a whole day. I should have figured it was super spicy by the big dragon on the front, but oh well! 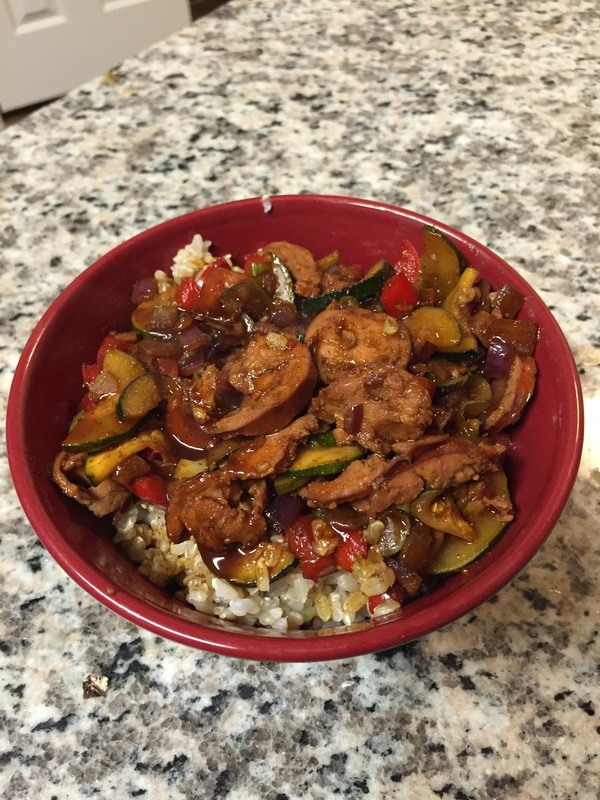 Like I’ve said before you can alter/add whatever you want to this stir fry recipe as you may want to add more or less of the ingredients that I use! 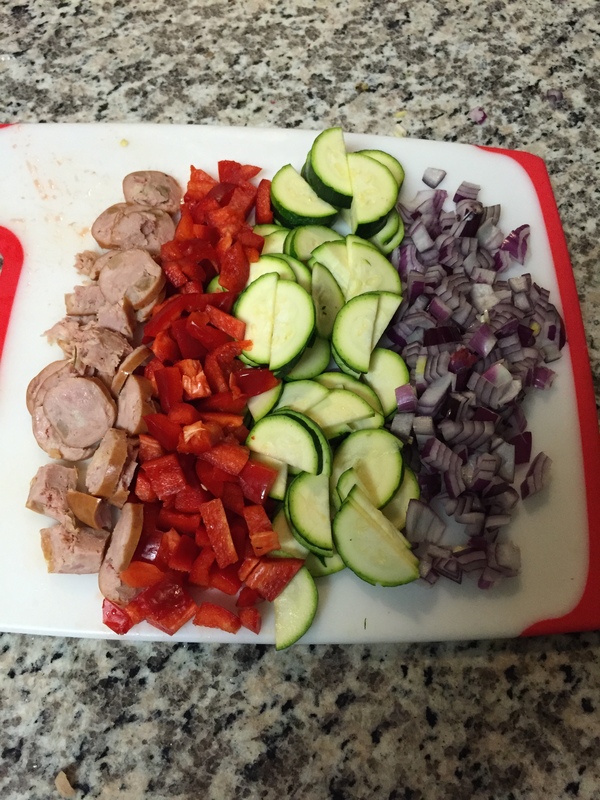 Combine all ingredients into a wok/sauce pan/skillet and lightly toss with however much sauce that you like! Serve over rice or pasta and enjoyyyyyyyyyyyyyyyyy !! ← Afternoon Slump, Be Gone!